As the Thumb Land Conservancy was just formed in late 2008, we only have two sanctuaries so far ¡§C the 18-acre Dead End Woods in Fort Gratiot Township, and the 38.5-acre Dr. James F. Gerrits Memorial Sanctuary in Ira Township, both in Saint Clair County. Please contact the TLC if you are interested in donating land or a conservation easement. There can be significant tax advantages to a donor. The Dead End Woods Sanctuary was acquired by TLC from the Saint Clair County Drain Commissioner, Fred Fuller, in December 2008. 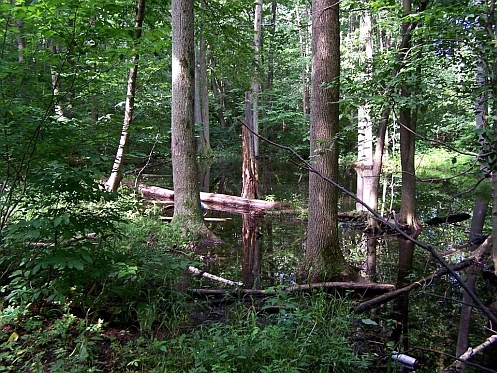 As a condition for obtaining a wetland permit from the Michigan Department of Environmental Quality for the Huffman Drain and Bunce Creek drain project, Fred agreed to preserve nearly 12 acres of wetland in the Dead End Woods as mitigation by placing a conservation easement on the property. As mitigation options were being considered, the owner of one of the Dead End Woods parcels approached Fred with an offer to sell the land at a reasonable price. The MDEQ confirmed the presence of a large amount of wetland on the property and found that it is a high quality habitat. 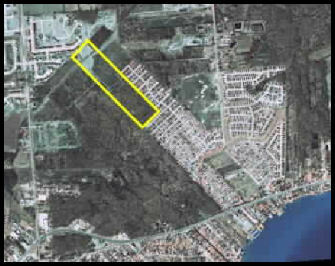 Fred then acquired adjacent land with additional wetland to fulfill all of the mitigation for the current phase of the drain project. As a means of satisfying MDEQ requirements for long-term monitoring and stewardship of the wetland, the two Dead End Woods parcels were then transferred to the TLC, relieving the Drain Commissioner from further responsibility for this land. At 44.5, the Floristic Quality Index calculated for the Dead End Woods ranks well above 35, indicating a natural area of statewide significance. 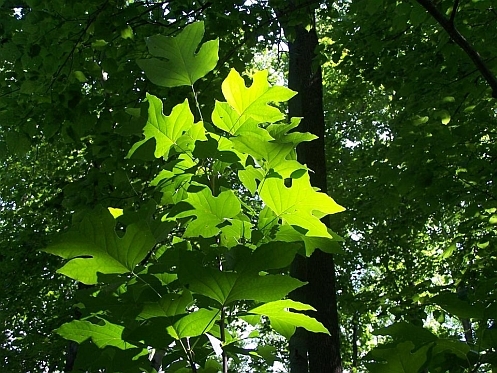 Some higher quality or interesting species that are not routinely encountered in natural areas of the region include Maidenhair Fern, Spikenard, Richweed, Hazelnut, Black Ash, Butternut, Spicebush, Tulip Tree, Cardinal Flower, Indian Pipe, Black Gum, Sycamore, Christmas Fern, Broad-leaved Goldenrod, Foamflower, and Eastern Hemlock. On July 16, 2009, the TLC acquired its second nature sanctuary, the Dr. James F. Gerrits Memorial Sanctuary, a generous donation from the late Dr. Gerrit¡¯s wife, Lois Gerrits. The closing was held at the Law Offices of Timothy J. Lozen, with attorney Anna Kovar and TLC executive board members William Collins and Terry Gill present. Ullenbruch Flowers and Gifts of Port Huron kindly donated a nice bouquet of flowers to express our appreciation to Mrs. Gerrits. The Gerrits Sanctuary is 38.5 acres of southern mesic and southern swamp forest with old-field to the north. Crapaud Creek flows through the north end of the property, which is located only about ¾ mile north of Anchor Bay and Lake Saint Clair. Such coastal habitat is critical for migratory birds and insects that move along the Great Lakes. The sanctuary is located along the east boundary of the City of New Baltimore and Macomb County in Ira Township, Saint Clair County. Although development has taken a toll on nearby land, the forest on the sanctuary is mature, contains many high quality woodland species, and is part of what appears to be the largest and least fragmented forest tract remaining along the Great Lakes coastline from Ohio north through the Algonac area, excluding Grosse Ile near Detroit, and Walpole Island on the Ontario side. Dr. Gerrits was well known in Saint Clair County. He was co-pilot of a bomber in World War II, and later a fighter and test pilot. Because of his war experiences, he became an outspoken critic of war. He and Lois twice voluntarily went to Vietnam in the 1960¡¯s, sponsored by the U.S. Department of State and Catholic Church, to provide civilian medical care to the people of both South and North Vietnam. Lois shared several stories about those times after our closing. The TLC will feature more about Dr. and Lois Gerrits in the future.